Light, straw-coloured hue. The nose is delicate, floral, fresh, airy, and light with a hint of citrus. The palate is slightly rough, since the wood has not been fully assimilated. Although its youth is apparent (this spirit is "only" 15 years old), it nevertheless has great delicacy. The finish leaves a slightly sweet trace of vanilla. 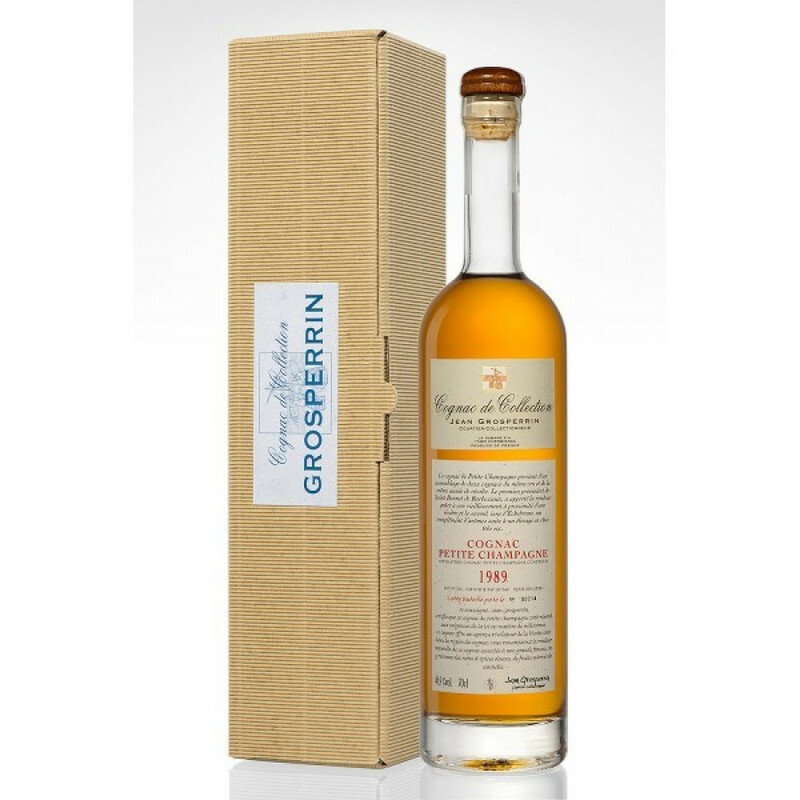 Grosperrin Millesime 1989 Cognac is the only one of the Millesime range that's been blended. It's a combination of two 1989 cognacs from the terroir of Bois Ordinaire. The first provides both smoothness and sweetness, due to the fact that it was aged and stored close to a river. The second adds further aromas and a wonderful balance, thanks to aging and storage in a very dry cellar. Not a Bon Bois but a great champagne. I can not judge the Bon Bois that I ordered because they send me a Petite Champagne Grosperrin instead. No problem, we all make mistakes and it was rightfully corrected by Cognac Expert. But I must say that I love this Petite Champagne. A nose that I didn't discover the correct word for but that keeps surprising me. Very recommendable.